Life has not been easy for Catherine, the everyday heroine in David Auburn's "Proof." At the age of 21, she had to postpone her dreams of academia to care for her mentally ailing father, Robert (played by Howard Bickle, Jr.). Now with his death, she is attempting to stitch the pieces of her life back together and finding it difficult in his absence — partially because her sister Claire (played by Melissa Jean Swensen) is selling her lifetime home and partially because she fears she might be a little "nuts" too. Sharon Biermann, who plays Catherine in Wolf Pack Theater's production of "Proof," gives a very genuine and raw depiction of the struggles of living with mental illness. It is not through good writing alone that Biermann is able to truly speak to the heartache that is watching a loved one essentially lose their faculties to mental illness. Her range of emotional depth practically makes the production. As Catherine opens up following her father's death, the chemistry between Biermann and Harold, Robert's former protege, (played by Sean Cowan) gives new depth and creates empathy for the heroine as it shows what love looks like through the lens of someone struggling with mental stability. You'd almost think the two actors were married — which they are — yet they somehow depict the awkward, flirtatious beginning phases of a relationship as if they'd just met. As the play jumps back and forth between what it refers to as Robert's last "lucid year" and the days following his death, the audience is led to wonder with Catherine — is she mentally ill as well, a genius or both? Both was the case for Robert, a mathematical prodigy in his heyday. Scenes of Catherine speaking with her father even after he's allegedly dead are what frame the question: mad or grieving? 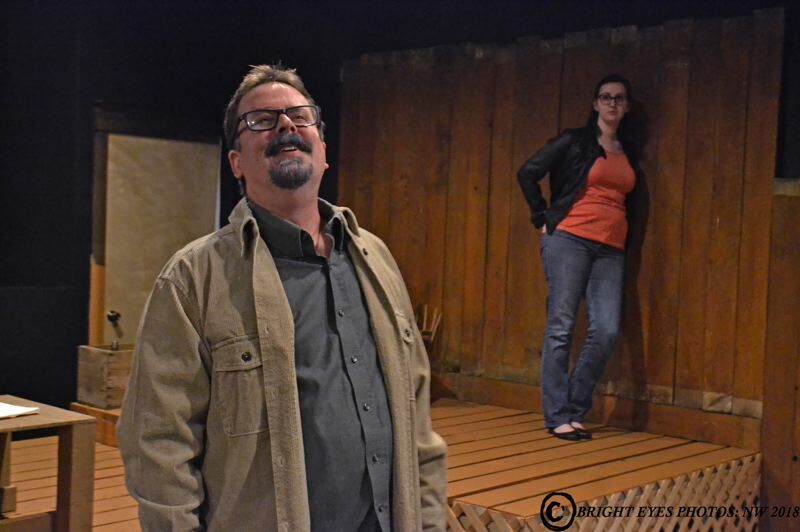 The play explores several aspects involved in situations of mental illness that some people not in the know may not anticipate. When Harold discovers an unpublished mathematical proof in Robert's desk, he is quick to excitedly propose publishing it under his former mentor's name, until Catherine claims authorship. In that moment is when Catherine's mental stability is truly called into question. Harold claims she is not educated enough to write such a proof, and the handwriting is very similar to her father's. But alas — as Robert told her — "even your depression is mathematical," and the real proof of the play is what Catherine proves to herself and those around her. The play will run through Sunday, Dec. 2, with shows at 8 p.m. Thursdays, Fridays and Saturdays and a 2 p.m. matinee on Sundays. For more information, visit wolfpacktheater.com.